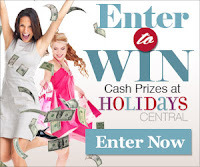 Browse » Home » ALDI Deals » ALDI: Lots of produce & back to blogging! 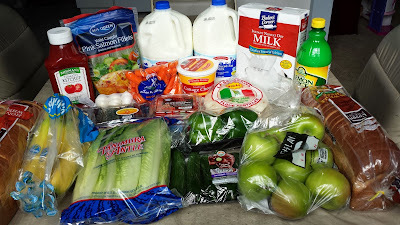 ALDI: Lots of produce & back to blogging! Whatever happened to the ALDI posts here at Frugal Follies? I used to blog about all the great price deals I got at ALDI. But somewhere around the end of August, I stopped posting what I had purchased there. Why? I felt like the posts were getting a little boring. Each week I'd purchase milk, bread, produce, and maybe a couple of pantry items that normally I stockpile but had run out of unexpectedly. It got a little tough to say something interesting about each trip, so I decided to stop. The problem is, I then forgot what I had purchased at ALDI, and I often misplaced my receipts, so when I went to do my weekly summary post, I had no idea what I had bought. So I ended up stopping the weekly summary posts (then called Wednesday Weekly Shopping) that included a blogger linkup. So then I missed out on seeing what other great deals other bloggers had found. Not only that, but only showing my Publix deals gave a skewed view of what it takes to feed a family of 5 for under $80 per week. I do buy food items that aren't on sale and don't have coupons, like milk and vegetables... just not at Publix. This week at ALDI, I took my youngest daughter shopping with me. She loves to push the cart find the items on my list. With ALDI's small size and fewer items, it's easy for her to do this! I had just put "fruits and vegetables" on my list, so she had fun picking healthy produce items out. That caused this week's ALDI bill to be a little larger than usual, but it's all good! I'm so glad to see that you have decided to start up the link up again as well as the ALDI post. I kind of felt the same as you, but you are so right about giving the right picture of what you buy. I want to show other families that it is possible to shop the deals and get a good amount of fresh foods on a budget, and ALDI certainly is a part of the picture.